As frequent readers may know, this space is often used to discuss the differences between mouthguards, whether they’re generically produced or custom-made (just see here, here and here). But you still may be wondering: how exactly does the whole “custom mouthguard” thing work? What happens when you place an order for custom mouthguards? How are custom guards made? And most importantly, why does that make them superior to other mouthguards? You’ve placed an order for a custom mouthguard; now what? When your order is placed, you’ll first receive an impression kit. The kit — which includes easy-to-follow instructions, the impression material and tray, and a pre-paid return mailer — allows you to make an exact replica of your individual mouth in the time it takes to brush your teeth. Now that you’ve completed the impression process, it’s time to make a model of your mouth. Using the impression, a stone model is made of your individual mouth structure. This serves as the device for making your custom mouthguard, as layers of ethylene vinyl acetate (EVA) are heated and pressed over the model of your mouth in order to create the perfect-fit. The production process determines a mouthguard’s protection and comfort. For example, boil-and-bite mouthguards are made to fit the teeth by sucking and biting a heated, prefabricated guard. That means a chunk of rubber is cut into the shape of a mouthguard, boiled, then chewed on until an impression of the teeth is left in the rubber block. Needless to say, boil-and-bite guards leave much to be desired. They are too bulky in places where comfort is needed and they inhibit the ability to speak and breathe clearly. That’s why the American Dental Association and the Academy for Sports Dentistry recommend a professionally-made, properly-fit custom mouthguard. But did you know that there are two different types of custom guards? Custom mouthguards that are produced using a vacuum-formed process are made up of one layer of material, heated and pressed at 14 lbs/sq. in. over the model of your mouth. 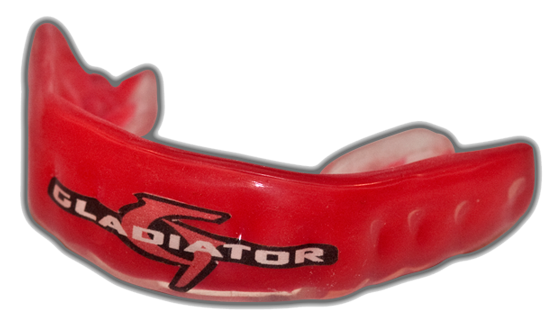 While a vacuum-formed mouthguard is custom-made, it is still inferior to the heat and pressure-laminated process of Gladiator Custom Mouthguards. What makes the heat and pressure-laminated process superior to all other mouthguard production? Unlike other mouthguards, a heat and pressure-laminated mouthguard is made of several layers heated and pressed together over the stone model of your mouth at 80-120lbs/sq. in. In between each pressing stage, the guard is cut to accommodate your exact mouth structure; this allows for a much tighter and more comfortable fit, in addition to complete personalization — including name, number, logo and team colors. Since vacuum-formed mouthguards are only made of one layer, they don’t allow for cutting, giving them a uniform thickness all the way around — much like boil-and-bite guards. And keep in mind: all mouthguards should be at least 4mm in thickness along the front of your teeth and under your molars, for proper protection. Anything less is compromising your protection and anything more could be causing unnecessary discomfort. Once all layers are pressed and cut, and all personalization is added, your custom mouthguard is ready to go! From the first impression to the final product, there’s only one mouthguard that is completely custom-made to fit your mouth and your personality. 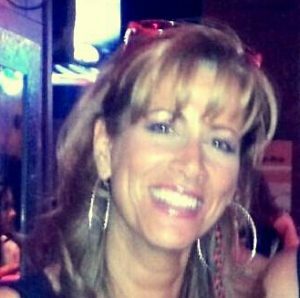 Want Your Team To Be Atop The Leader Board? Follow The Leader!